The Freshers’ line up has been announced this morning, with highlights including Chris Stark from Radio 1, Jack and Dani from Love Island, a Ministry of Sound takeover, Big Night Out, and The Greatest Freshers’ Ball. The fun doesn’t end there, as a roller disco, crazy golf, film screenings and laser tag have also been announced. 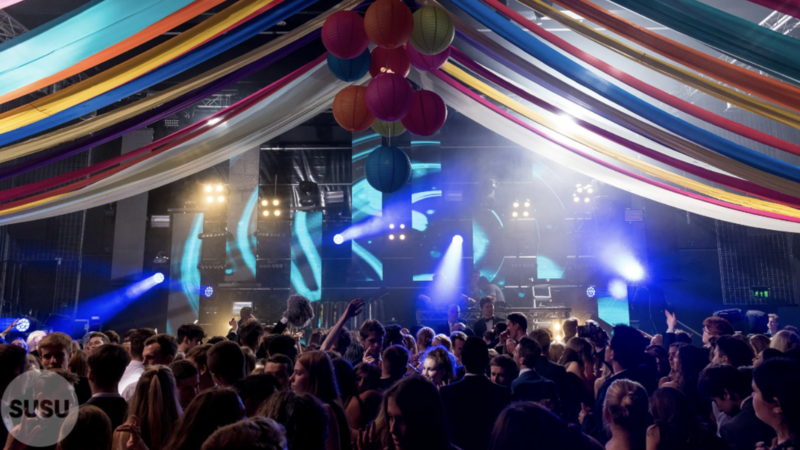 Freshers this year is two and a half weeks long, beginning on 22nd September with Chris Stark from BBC Radio 1, and concluding with the Freshers’ Ball on 6th October. Chris Stark is a DJ from BBC Radio 1, and also attended University of Southampton where he studied Politics and was involved with Surge Radio. Jack and Dani are this year’s Love Island winners, taking a £50k prize home after winning the nation’s hearts and getting over 80% of the final vote. The Greatest Freshers’ Ball is sure to be a spectacle – we can expect a circus theme and a homage paid to The Greatest Showman. The full line up can be seen on the University of Southampton Freshers’ 2018/2019 page. All Freshers’ tickets are now available to purchase from the box office, by clicking here.